Comments for How much bags of fertilizer do I need? All fertilizers are formulated differently, and with varying strengths, according to the actual ingredients. 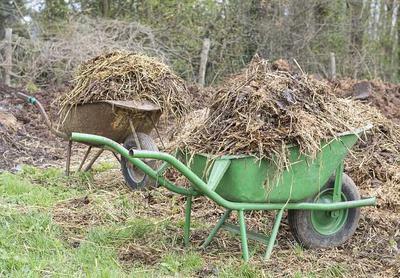 You have a lot more leeway with natural, manure or organic fertilizers than with chemicals. Too much chemical fertilizer will make your garden a wasteland due to the fact that there is salt in them. Or, worse, it will just encourage weeds rather than your plants. Without more information on what you plan to grow, as all crops require specific nutrients, and, what your soil is like (clay, sand, silt etc) there is no way I can give you anything more than very general guidelines. If you want to be completely safe (ie: not poison the environment) go with compost instead of 'bags of fertilizer'. There are often sales on steer manure in bags, which is composted and weed free, and for crops that require a bit of a boost, get chicken manure. Compost tea is a great way to deliver nutrients directly to the plant, and can even be applied to the foliage. You can't get much safer than that. If you insist on chemical fertilizers you will need to contact a supplier near you and get the information off the bag - this will give you the information you need.